Home | Reviews | Other | Software | Manilla is Closing its Doors, What Now? Having used Manilla’s service for quite some time now, I have become accustomed to the alerts and statement notifications provided by the service. In a previous article, Simplify Your Financial Life With Mint.com & Manilla.com, we outlined the service and recommended it as one tool for simplifying your finances. For a while now, Manilla has been slowly preparing us for something… their closure. In an email today Manilla finally formalized the proverbial bomb and detailed their plans. Manilla will be closing on July 1, 2014. This was a hard decision given that, over the past three years, Manilla has won many awards and has been well supported by its valued user base. However, we were unable to achieve the scale necessary to make the economics of the business viable. Existing users will have access to the Manilla service through June 30, 2014. On July 1, 2014 the Manilla service will cease ongoing operation. We urge you to download any documents you wish to retain and deactivate your Manilla account prior to July 1, 2014. To deactivate your account, please click here and select “Delete your Manilla account” at the bottom of the page. Manilla will retain user documents through September 30, 2014. You will be able to retrieve your documents (no other aspect of the service will be operating) from the Manilla website through September 30, 2014. After that date, any remaining documents will be destroyed. If you have any questions or concerns, please email us at support@manilla.com. We apologize if we are not able to respond to all emails. You’ve got enough on your plate. Instead of letting bills, statements and documents pile up and cause clutter, stress and annoying late fees, let Finovera help you manage everything in one ultra-secure place. 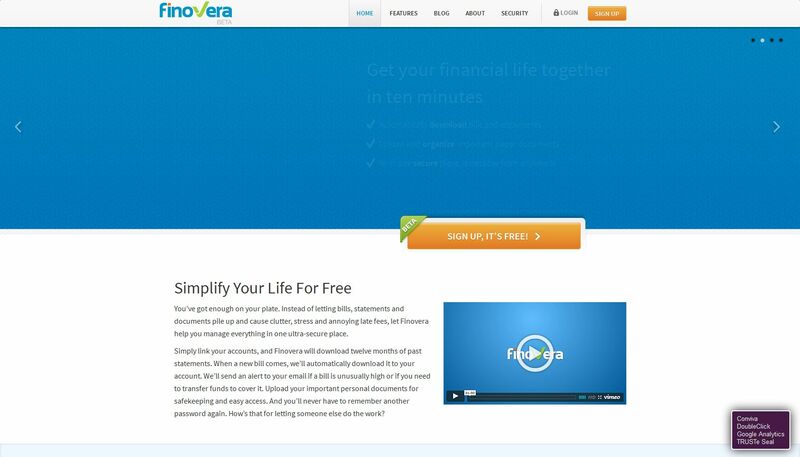 Simply link your accounts, and Finovera will download twelve months of past statements. When a new bill comes, we’ll automatically download it to your account. We’ll send an alert to your email if a bill is unusually high or if you need to transfer funds to cover it. Upload your important personal documents for safekeeping and easy access. And you’ll never have to remember another password again. How’s that for letting someone else do the work? 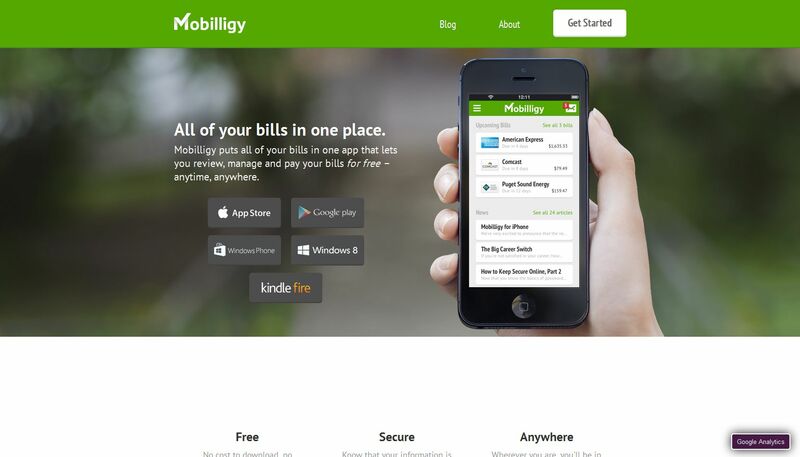 Mobilligy – All of your bills in one place. Mobilligy puts all of your bills in one app that lets you review, manage and pay your bills for free – anytime, anywhere. Let us know what you are using below in the comments.